‘He will not forget this ordeal or any of the other fathers, sons, family members, and faceless people, he was locked up with or that remain unjustly incarcerated across the country,;’ said the rappr’s lawyer in a statement on Tuesday. The rapper was born in England and moved to the United States with his family at the age of seven. He has been in the US illegally for some time now, but in 2017 applied for U-Visa according to his lawyer. That application was still being processed when he was taken into custody. ‘ICE has not charged Mr. Abraham-Joseph with any crime,’ his lawyer said in a statement lats week. 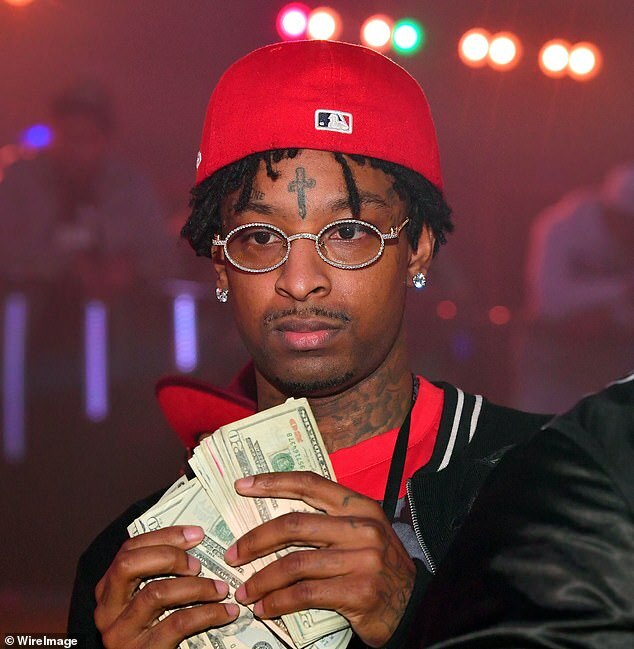 ‘Today, 21 Savage was granted a release on bond. He won his freedom. ’21 Savage asked us to send a special message to his fans and supporters—he says that while he wasn’t present at the Grammy Awards, he was there in spirit and is grateful for the support from around the world and is more than ever, ready to be with his loved ones and continue making music that brings people together. Charles Kuck, Dina Laporte, and Alex Spiro.